Using an intersectional approach, this paper provides a novel case study of young ‘Millennial’ female independent fashion designers who operate within the emerging and under-explored Canadian fashion industry. Drawing on 87 interviews and participant observation, the paper demonstrates how entrepreneurial motivations, pathways, practices and experiences are shaped by individual characteristics, such as gender, age, lifecycle and class. Particular attention is paid to the challenges and tensions associated with the D.I.Y. model and how forms of work, including aesthetic labour, are performed and experienced in virtual spaces such as social media platforms. In so doing, the paper contributes to nascent research on Millennials and nuances our understanding of the gendered nature of creative labour. As the possibilities for people, knowledge, practices and objects to flow across time and space increase, this paper considers whether creative talent still need to cluster in established global centres to succeed. Drawing on 87 interviews and participant observation with independent fashion designers in Canada, it explores how these creative entrepreneurs overcome challenges and access opportunities and resources by mobilising forms of temporary, mediated and virtual mobility. By demonstrating that being permanently located in Toronto, Montreal or Vancouver is not essential or necessarily desirable, the paper nuances our understanding of talent flows and the regional culture of entrepreneurship. The contemporary marketplace for cultural products, such as music, fashion and film, features an abundance of goods, services and experiences. While producers struggle to differentiate and monetize their offerings, some consumers are overwhelmed by the amount of choice and information available to them. As curation remains a ‘fuzzy concept’ – with definitions and connotations that vary by industry and occupation – this paper aims to contribute to existing conceptualisations by focussing on the case of recorded music. It provides a typology of curation-related activities and highlights the range of economic and non-economic rewards that motivate different actors to perform curation. It also interrogates the importance and role of space by identifying physical, temporary and virtual spaces where curation is performed and relationships between specific spatial dynamics and curation-related processes. In the increasingly global and competitive fashion industry, firms are adopting a variety of strategies to generate value and brand loyalty. While some emphasise the quality of material elements such as inputs, local production and design, others focus on immaterial aspects such symbolic value and exclusivity. In recent years, place-branding has become an important way to create connections between people, places, and products. Yet, the processes behind this type of branding remain poorly understood. This paper examines how a range of Canadian fashion firms leverage the landscape to create and communicate brand identities, distinction and values. 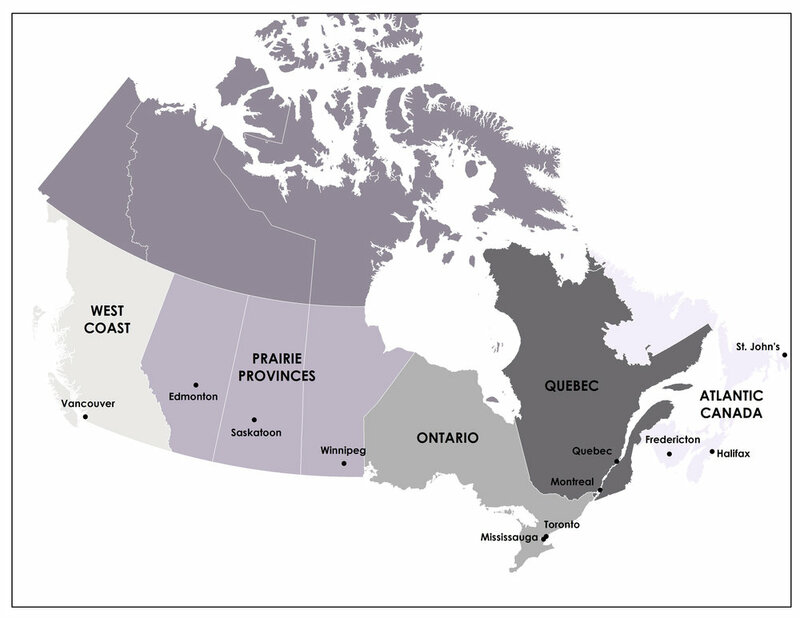 It demonstrates how firms of different sizes and scales construct, harness, or reimagine landscapes and/or popular stereotypes to connect with Canadian identities and consumers. This paper considers the extent to which power in the fashion industry is expanding or consolidating. While there is a prominent discourse that structures, systems and spaces within the global fashion industry have been (and will continue to be) disrupted by new actors, technologies, practices and cities, there are good reasons to question whether the fashion industry has really entered an era of democratization, or if established power structures remain entrenched. In particular, the paper looks at the following themes: established and emerging fashion capitals, challenge and change within fashion retail and sustainable fashion futures. The contemporary retail landscape is in flux and there is a growing perception that patronizing bricks and mortar shops is more expensive and time-consuming than shopping online. For music, illegal downloading and streaming have restructured the retail landscape and put thousands of record shops out of business. Yet some retailers remain attractive consumption spaces. Drawing on a qualitative case study of independent record shops in Stockholm, this paper considers three value-creating strategies that sustain these physical retailers in the digital age: cultivating in-store consumer experiences, creating value through curation and tapping into global markets by going online. What is ‘good food’? Is it fair trade, local, organic or ethically produced? With an ever-expanding array of products and ‘qualities’ to consider, consumers in the global North may find it increasingly difficult and time-consuming to make the ‘right’ choices. As a result, a range of intermediaries, including food apps and collective buying groups, are emerging to support and influence people with their food choices. While intermediation refers to all activities linking producers and consumers, this paper narrows the focus and considers one important, yet poorly understood, intermediary function within the food marketplace: ‘curation’. As food production becomes increasingly integrated, globalized and competitive, small-scale food-related enterprises in many European countries are struggling to market and monetize their products. This paper focuses on the development and implementation of new and hybrid commercial strategies by food-related entrepreneurs in three rural communities in Denmark. Building on Pine and Gilmore (1999) we assert that entrepreneurs use different experiences with varying levels of intensity and consumer engagement for different purposes. Whereas ‘passive’ experiences such as storytelling are used to educate consumers about the specific qualities of products, more active and participatory experiences are sold as add-ons and standalone products. The findings contribute to our understanding of food-related entrepreneurship in rural contexts, consumption, value creation and the experience economy more broadly. In this paper we examine the changing nature of aesthetic labour in creative industries. Drawing on a case study of independent musicians in Toronto, we argue that the spatiality and temporality of aesthetic labour has shifted as a result of technological change in the music industry and the decline of record labels. In particular, we demonstrate that aesthetic labour in the music industry has become more time-intensive and takes place across a growing range of spaces, including the stage, the home an online. This paper contributes to existing studies in geography that consider the spatial dynamics and precarious conditions of creative labour. Cultural intermediaries in the digital age: the case of independent musicians and managers in Toronto, Regional Studies. This paper explores the limitations of the contemporary do-it-yourself model of music production and the recent shift towards re-specialization in Toronto in Ontario, Canada. It argues that freelance managers are re-emerging as key intermediaries who catalyse and facilitate new organizational forms and strategic partnerships between creative workers. Attention is paid to how digital technologies and shifting market dynamics influence and alter the relationships and contracts between these individuals. The spatial concentration of managers and other ‘helpers’, including fashion designers, photographers and web designers, is also used to explain why music production remains clustered in space despite the decentralizing potential of digital technologies. Geographers have studied the complex relationships between cultural production, consumption, and space for some time, but the marketplace for cultural products is being reconfigured by digital technologies and broader societal trends. For producers of fashion and music the contemporary marketplace is a double-edged sword featuring lower entry barriers and fierce competition from an unprecedented number of producers and ubiquitous substitutes. Global firms and local entrepreneurs struggle to stand out in the crowd and command monopoly rents for their unique goods and services. This paper examines how independent cultural producers use ‘exclusivity’ to generate attention and distinction. Drawing on qualitative research with independent musicians and fashion designers in Toronto, Stockholm, Berlin, and New York it presents three mechanisms through which exclusivity can be created. These include exploiting consumer demand for uniqueness, enrolling consumers into the production and promotion process, and manipulating physical and virtual space. This paper nuances our understanding of the ongoing transition within the North American music industry. It extends the existing analysis of the so-called “MP3 Crisis” by exploring the ways in which digital technologies have challenged the entrenched power of the major record labels. In particular, new insights are offered based on interviews with music industry executives who have been active in shaping the industry’s response to illegal file sharing. 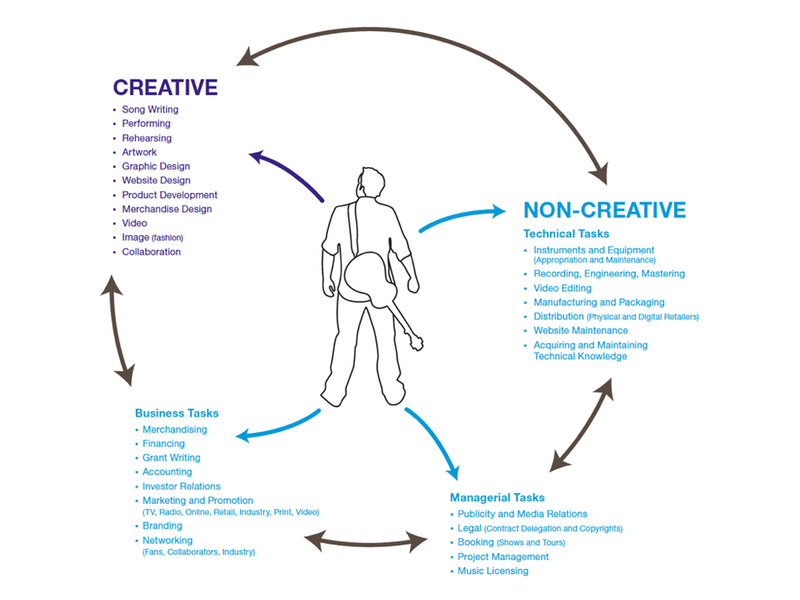 The paper also uses interview data from musicians to investigate the implications of restructuring at the macroscale on creative talent at the microscale. As such, it documents the structures and spatial dynamics of digitally driven independent music production in Canada for the first time. Although Toronto has been the centre of the Canadian music industry for many decades, recent interviews reveal that industrial restructuring may be affecting the choices that musicians make about where to live and work. In an era of contemporary independent music production, some smaller city-regions, such as Halifax, Nova Scotia, are becoming more attractive to musicians. This article explores the ways in which musicians consider the economic and social dynamics of city-regions in making their location choices. Musicians recognize Toronto’s advantages in size and economic opportunity, yet those in the music scene described it as an intensely competitive and difficult work environment. By contrast, respondents in Halifax talked about a supportive and collaborative community that welcomed newcomers, encouraged performance, and facilitated creativity. In the contemporary context, where independent musicians are adopting new strategies to pursue their vocation, communities high in civic capital may gain an advantage in attracting and retaining talent. Although economic geographers have paid significant attention to the competitive dynamics, organizational and employment structures of specific cultural industries, the existing research privileges large firms and established centres such as New York, London and Los Angeles. Moreover, despite the conceptual articulations of spillovers and “related variety” few attempts have been made to examine the collaborative linkages between two or more related industries and, more specifically, how changing macro-economic forces are affecting individual producers at the local scale. In this paper we address these gaps and argue that the growing prevalence of independent production is transforming the nature of the long-standing connection between music and fashion. Specifically, that strategic collaborations between indie producers are becoming crucial to competing in the contemporary landscape of cultural production and consumption. We also assert that the motivations and mechanisms of these contemporary collaborations differ from their historical counterparts in important ways. Indeed technological advancements and the demands of indie production are changing the networking practices that facilitate these partnerships and the ways in which indie producers value and exchange goods and services. Built places/spaces have long been sites for civic conversations and the engage- ment of citizens to exercise their rights to celebrate, protest and bear witness. Two basic propositions concerning civic conversations, collective interests, as well as rights and obligations of citizens are offered. Planners are encouraged to promote places/spaces for civic conversations as important elements to promote decent societies. Civic conversations are part of the broader milieu in which citizens conduct their lives, and the comments by Taylor on the malaise of modernity is suggested as a challenging contemporary context for planners as they seek to pro- vide places/spaces for citizens to express opinions about the world. We also offer brief comments about citizenship, which provide further contextual material for an understanding of the planning of places/spaces. It is suggested that planners need to find creative ways to provide access to virtual places/spaces from physical places/spaces so that recent trends in technology using the Internet can complement the traditional public sites where citizens congregate.